Additional Info: Our holiday home is very spacious and ideal for families or couples. The access is via a ramp walkway making it suitable for wheelchair users (and or buggies!). Sliding access doors to all internal rooms (except en­-suite) means there is great accessibility to all areas. 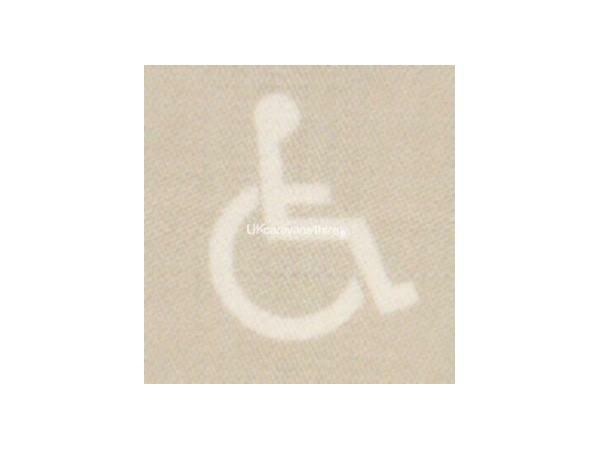 Ideal if you need extra room to move or are in a wheelchair. The home sleeps 6 including the sofa-bed in the lounge which is a double. (Bedding for this is found in the master bedroom). 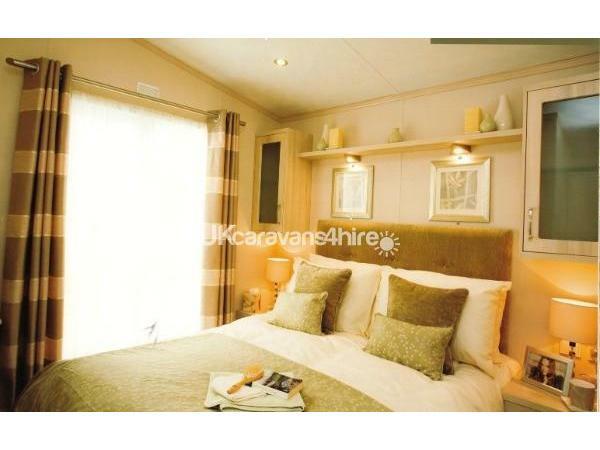 Both bedrooms have ample storage with mirrored wardrobes. The master bedroom is a double, with a flat screen TV with remote control. The second bedroom has two full sized single beds. There are two bathrooms both with toilets. There is a large walk in shower in the main bathroom with a pull down seat if required. In the master bedroom ensuite there is a large shower. Both have grab rails should you need. The galley kitchen breaks up the living and sleeping areas. The low level kitchen makes it suitable for those with mobility difficulties to cater for themselves independently. There is an oven and hob should you wish to cook and a good sized fridge freezer. There is also a fully featured washing machine and dryer, or clothes airers if you need them. In the lounge there is a flatscreen TV and a DVD player. It has a comfortable two and three seat sofa and coffee tables. There is a cosy fire too. The dining table seats four but there are two fold away stools in the master bedroom if you require them. The home is central heated with instant hot water. For easy access we use the Rockley Park reception for the key drop and collect. You are able to contact them or ourselves should you need assistance during your holiday. Holiday weeks are usually Friday to Friday. But we are flexible. Check in 2.30pm - Check out 10.30am. PLEASE NOTE. Bed linen and towels are not provided. But duvet & pillows are. Mattresses and pillows have protectors on for guests assured hygiene. A non refundable deposit of £100 is required within 7 days of booking to secure your dates. Full payment is required 6 weeks prior to your holiday start date. £100 damages and breakages deposit paid with full payment. This will be returned to you within 7 days once the caravan has been checked. The security deposit is not refundable on cancellation of booking. Please leave the caravan in a clean and tidy state. We need car registration and names of guests staying please. Plus any animals staying. 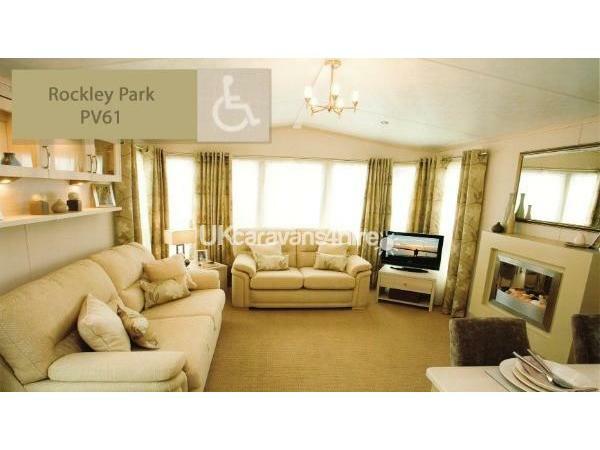 Purbeck View (PV61) is a generously proportioned holiday home, nestled in a quiet cul-de-sac location within the 5* Haven Holidays, Rockley Park. The extensive Rockley Park facilities are all easily reached via a level 5 minute walk and access to the wonderfully quiet Ham Common nature reserve is just outside the door with spectacular views across Poole Harbour. Perfect if your bringing your four legged friend. Our family holiday home has ramp access for wheelchair and pushchair users with a spacious veranda. 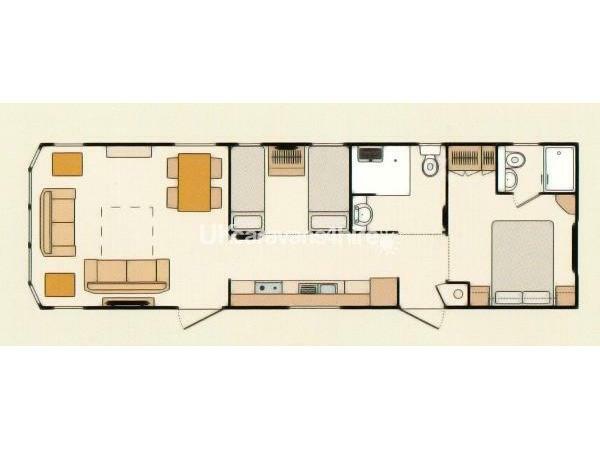 Inside provides all the comforts of home, with double glazing, full gas boiler central heating with instantaneous hot water. Fully fitted low level kitchen with fridge freezer, washing machine/dryer, microwave and oven with hob and extractor hood. The main bathroom has a walk in shower with fold away shower seat and grab rails for the less able. The master bedroom has a comfortable double bed with a memory foam topping and benefits from an en-suite shower room. All internal doors slide for easy access to rooms and there is plenty of space to move around and relax. There is a lovely spacious lounge/ diner with deep cushioned 2 and 3 seater sofas, a warm air fireplace, an LED TV and DVD player, topped off with sea glimpses across Ham Common. Our home caters for up to six guests. Duvet and pillows provided, just bring your linen and towels. Spend a week or a weekend, use as a base to discover the Jurassic coast with Lulworth Cove and Durdle Door. Shopping and entertainment in Poole and Bournemouth just a short drive away (or catch the bus). Or stay closer and enjoy all that Rockley Park has to offer including watersports and childrens clubs, crabbing and swimming, rockwall climbing and tennis or mini golf to name just a few. New for 2015 is the childrens bushcraft activities. We require full payment to secure your break, with less than six weeks till the holiday. Plus £100 refundable security deposit which is returned within 7 days after the van has been cleaned and inspected. We use the Rockley key drop service which is easy and convenient. We can only guarantee dates at the time of booking. Please note we only book to families/ couples and there is no smoking inside the van. Additional Info: Rockley Funworks pass can be purchased at park reception which gains you entry to the entertainment complex and swimming pools. Spa beauty. 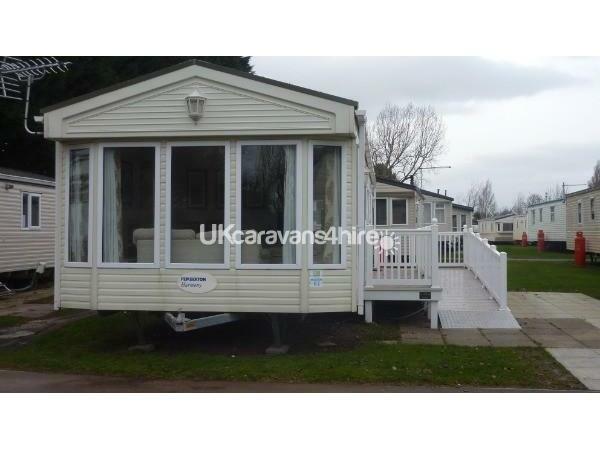 Lovely comfortable and spacious caravan with 2 bedrooms and 2 shower rooms (1 ensuite). 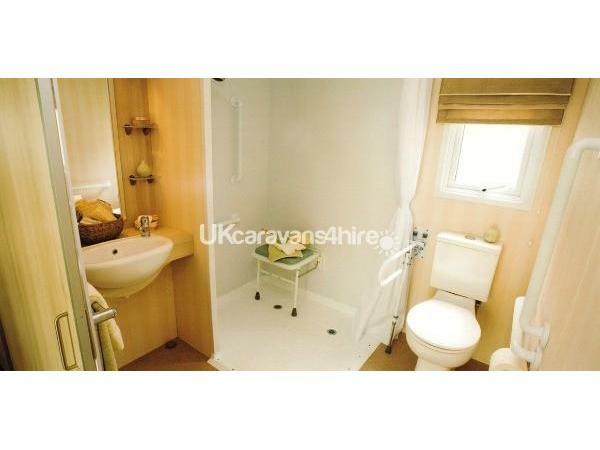 On arrival caravan was very clean, owner had left toilet rolls, j cloths, soap etc. so that there was no rush to shop. 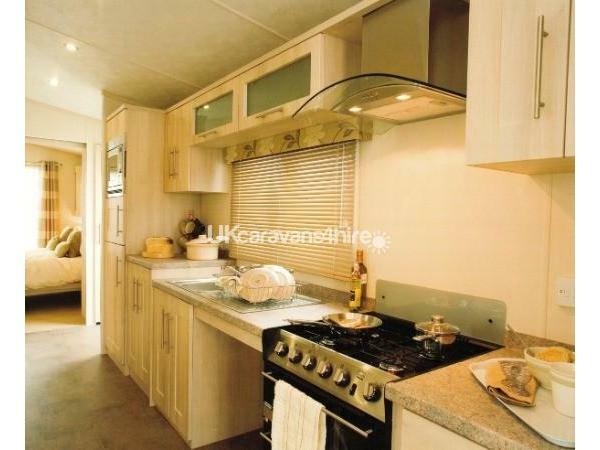 The caravan is on the edge of Ham Common which is great for those with dogs to walk. Near to all the amenities but still a nice quiet location on camp. We had a lovely holiday, very hot weather so glad we packed the fan! You can sit on the deck and enjoy the sunshine which was a bonus as it was so hot. Any queries were answered very quickly by Carron the owner. Would highly recommend this caravan and hope to return next summer. If I could have rated more than 10 I would have. Caravan and Carron beat I have dealt with. Should say was rubbish so not booked up for next year but that would be a telling porkies!! Thanks so much and parents and kids hope to be back very soon. Thank you Simon and family. We are always pleased to hear guests have had a good holiday. We have just returned from our 2 week stay here & we can honestly say it is the best caravan we have ever stayed in. 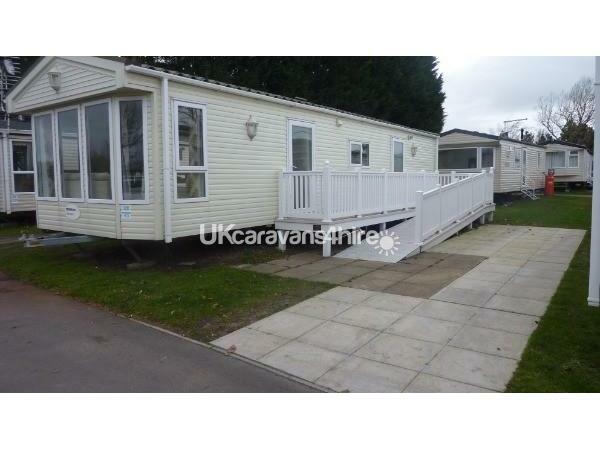 Very well laid out & spacious & located in a lovely area of the park. 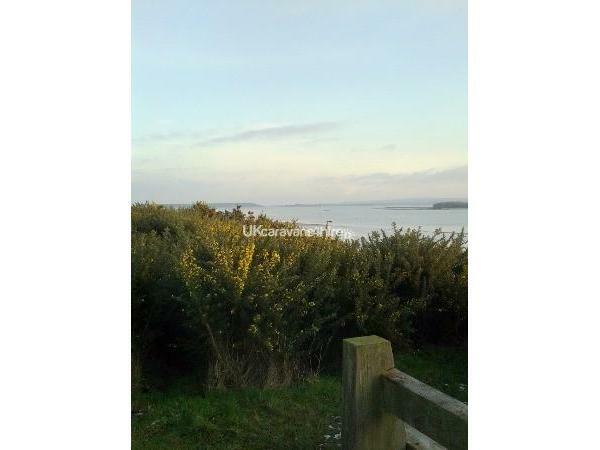 Carron was very helpful as we were new to the area & provided useful information. We will definitely stay here again in the future. We used the caravan for a short break with our dog Bonny as we have family in the area, the caravan was very clean and well equipped. 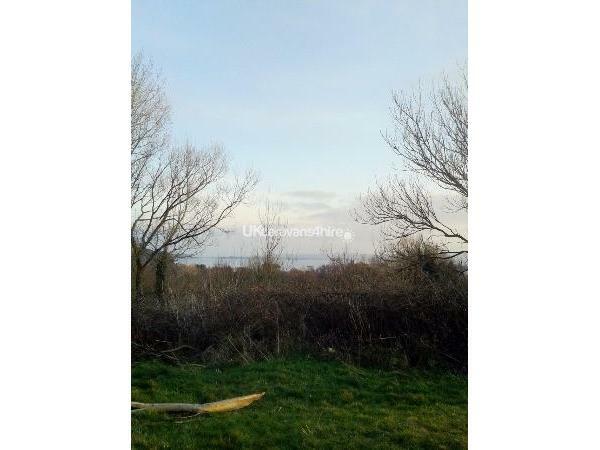 It was situated in a quiet location on the park, minutes away from the common which led down to the sea. Carron was very helpful nothing to much trouble. We would use the caravan again in the future. Thank you for your comments. We are very pleased that you enjoyed your stay.